Trailblazing keyboardist/composer/producer Jeff Lorber revisits a sound he helped pioneer on his latest recording, "Galaxy." Following up on his GRAMMY®-nominated 2010 release, "Now Is The Time," Lorber again culls from his early catalog but gives a fresh approach to some of his most highly requested compositions, including "Wizard Island," "City," "The Samba" and "The Underground." I only miss a new rendition of my favorite Lorber tune, "Katherine," the opening song from Joe Farrell's "Night Dancing" (Warner, 1978) album. "Essentially this album is a part two," Lorber says. "It features the same rhythm section, but it's even more into the jazz fusion direction. It's more energetic and the performances are tighter." "Galaxy" spotlights 11 originals - all instrumentals - that cover the scope of electrified jazz. The disc opens with "Live Wire" "At over seven minutes long, it's a real powerful, up-tempo song," says Lorber. "It's fun to play and hopefully just as fun to listen to. 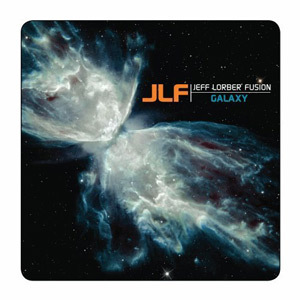 Yellowjackets' bassist Jimmy Haslip joins him in this 21st century version of the Jeff Lorber Fusion along with saxophonist Eric Marienthal, trumpeter Randy Brecker, percussionist Lenny Castro, guitarists Paul Jackson Jr. and Larry Koonse, and drummers Vinnie Colaiuta and Dave Weckl. Haslip also co-produced the album and co-wrote five tunes with Lorber. "Live Wire," like most of "Galaxy," is a showcase for the work of renowned drummer Vinnie Colaiuta. "We had three days with Vinnie to cut basic tracks," Lorber says. "Basically, he's the best drummer on the planet, so once he lays down his drum parts - which are like the foundation - you're ready to go. His work really inspired the rest of us." That inspiration also lives on "Big Brother," a tune that recaptures the essence of contemporary jazz, while the soulful and funky "Montserrat" works a groove loosely based on the Police's 1980 hit "When the World Is Running Down, You Make the Best of What's Still Around." While Colaiuta handles most of the drumming on Galaxy, Lorber recruited Dave Weckl to perform on the title track. "Weckl has been on my last three records," Lorber says. "And I love the way he plays." Lorber's look back at jazz fusion is also a look at the present, and to the future, including vibrant reinterpretations of "City," from the Jeff Lorber Fusion's 1980 LP "Wizard Island," and "The Underground" featuring trumpeter Randy Brecker, from Lorber's 1993 album, "Worth Waiting For." The fresh sounds on "Galaxy" expand the possibilities of where technology is taking music - the old becoming new, the modern becoming post modern.